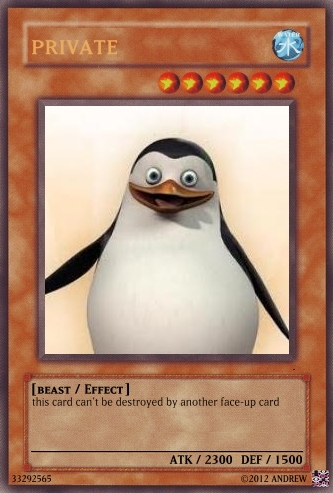 private YU-GI-OH card. the reson of the effect is that he's too cute!. Wallpaper and background images in the पेंग्विन्स ऑफ मॅडगास्कर club tagged: penguins of madagascar private penguins madagascar.